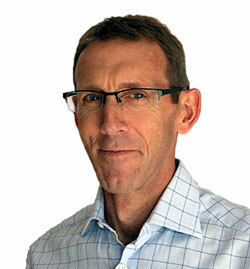 Alastair specialises in culture change in organisations. With experience working with a wide variety of Blue Chip and public organisations, he develops leaders and change agents using tailored diagnostics and development programmes to bring about the changes the organisation wants. He also creates unique learning journeys in inspirational settings for busy leaders who need to take a step back from their busy day-to-day activity to get a broader perspective on how they are developing as leaders. Alastair is passionate about developing facilitators and coaches in businesses to support change internally, creating ownership of and engagement with change. He has a track record of delivering organisational cultural change in a wide variety of sectors, including leisure, retail, services, health care, migration, pharmaceuticals, finance, housing, private education, charity and logistics. With experience working across Europe, Japan, Korea, Canada, Africa and the Middle East, Alastair is fascinated by different cultures and learning about different ways of seeing the world. He speaks fluent French, business level Japanese, and frequently works with clients on improving cross-cultural working. An International Association of Facilitators’ Certified Professional Facilitator, NLP Master Practitioner and Trainer, Alastair also has a coaching background both from sport (he’s a qualified Ski Race Coach) and business. He is currently studying more about the psychology of human experience with people such as Michael Neill and Kimberley Hare. A keen sportsman, Alastair is an avid ultra-trail runner, racing cyclist and ski mountaineer. He has the good fortune to train with several world-class athletes, and has learned a lot about the psychology and physiology of peak performance from them. Alastair is also likes to support worthy causes. He facilitated at the Alliance for a Green Revolution in Africa Conference, helping a large group of African Leaders to initiate a programme of work which will bring about improvements in living standards to millions of people. He also works with local teachers to help them help children who struggle with traditional educational approaches.